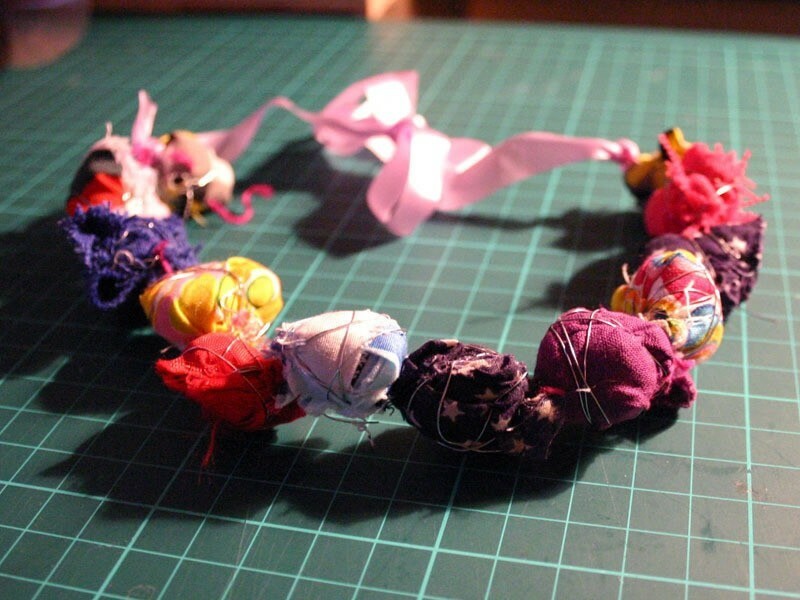 Use up your old fabric scraps to make a cute necklace. Take, or cut, a long strip of fabric. 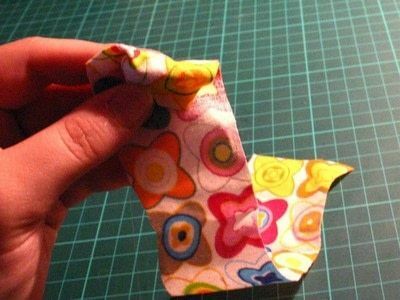 Take it in your hand and crush it up, folding the tail of the fabric over and over. 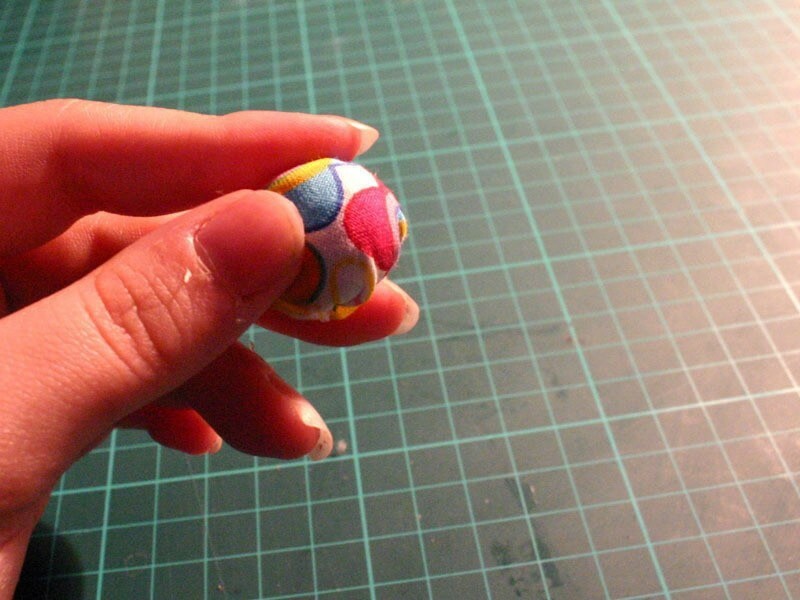 Roll it up in to a ball. 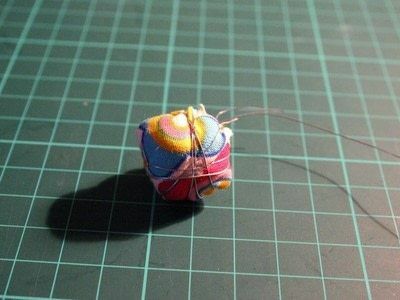 Take a length of wire and wrap it around the ball, securing the fabric's shape. Snip off any excess wire and tuck the pointy edges down in to the fabric ball. Make a big pile of fabric balls, about 10. Thread a needle with some embroidery thread. 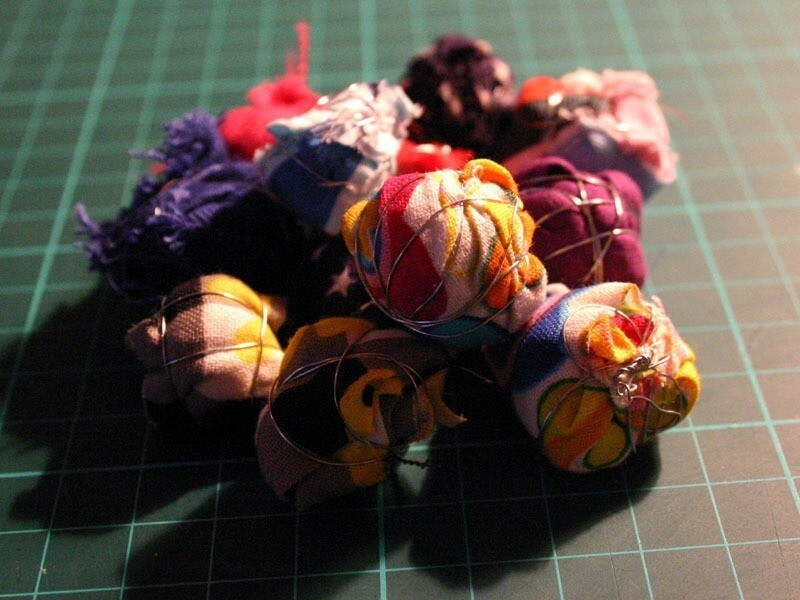 Take two balls and stitch them together. 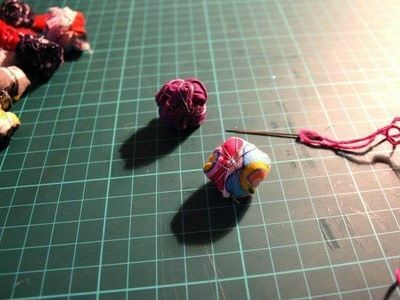 Snip off any excess thread. Repeat this with the remaining balls. Cut two lengths of ribbon and sew them to either end of your ball necklace. Tie the two lengths of ribbon together and you've made a cute necklace. what are the measurements of the scraps? 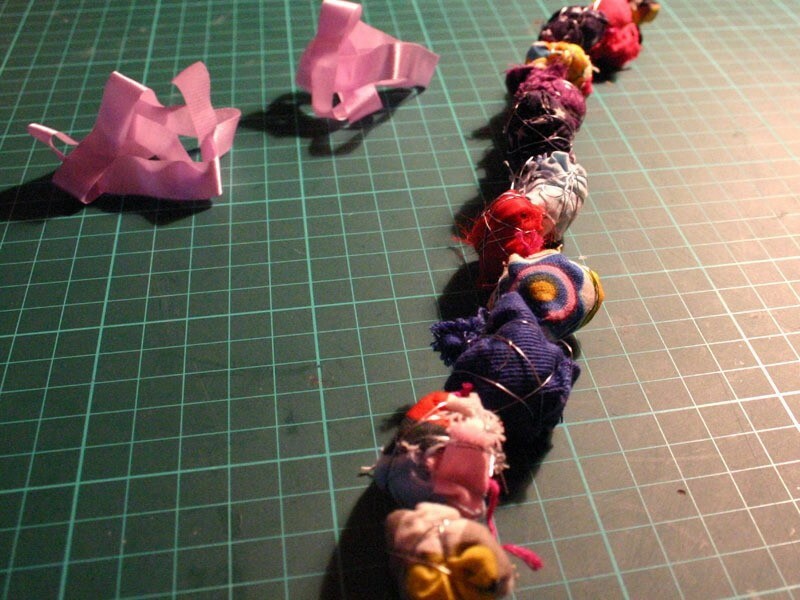 Cool idea for use of all those beautiful remnants left behind from your bigger projects. 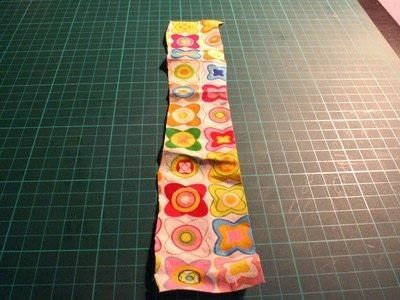 Could see you taking it to the next level with a loose fabric belt done in the same fashion. Thanks! You are so talented, very inspiring, I love this site, so many wonderful people & projects!! Unique concept. 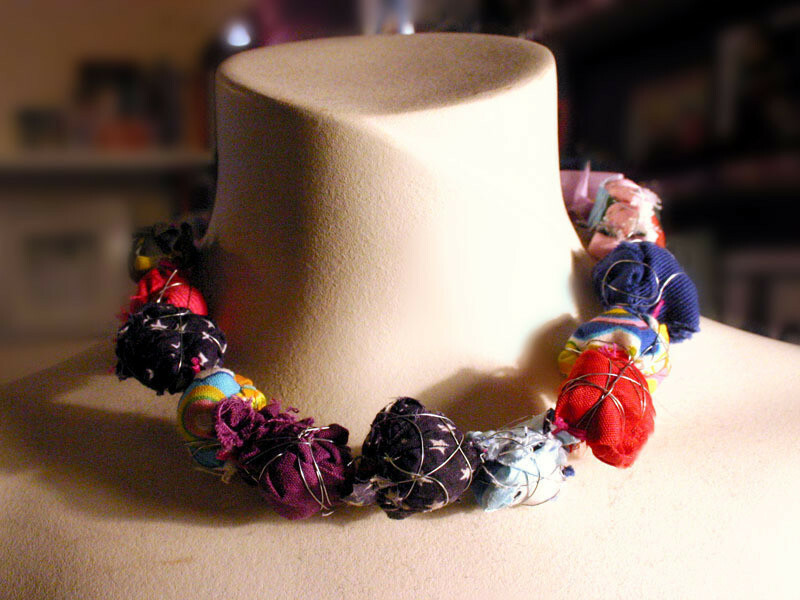 Great way to use up old fabric scraps into a cool necklace. 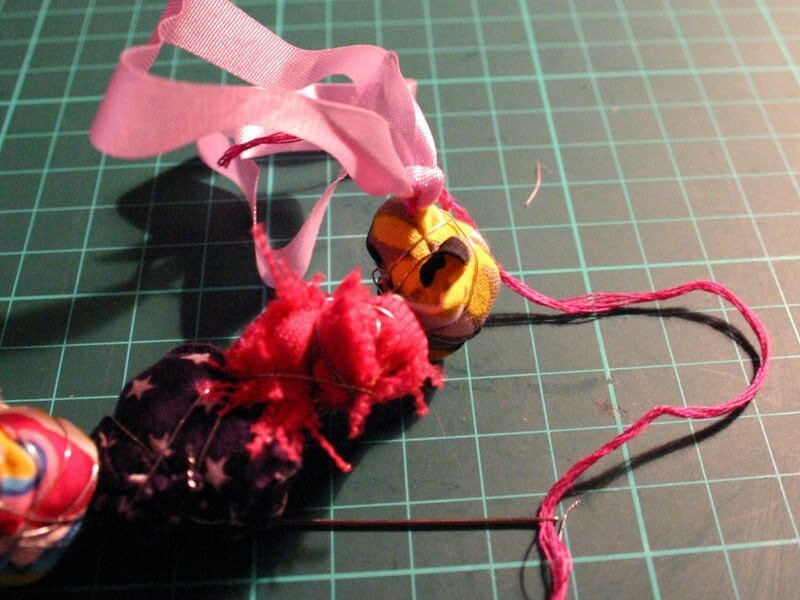 I wrapped the wire tightly around it as soon as I had rolled the ball, that way it kept the shape. 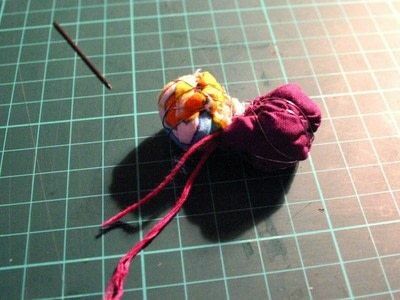 Do you stitch it in place after you are finished with rolling?